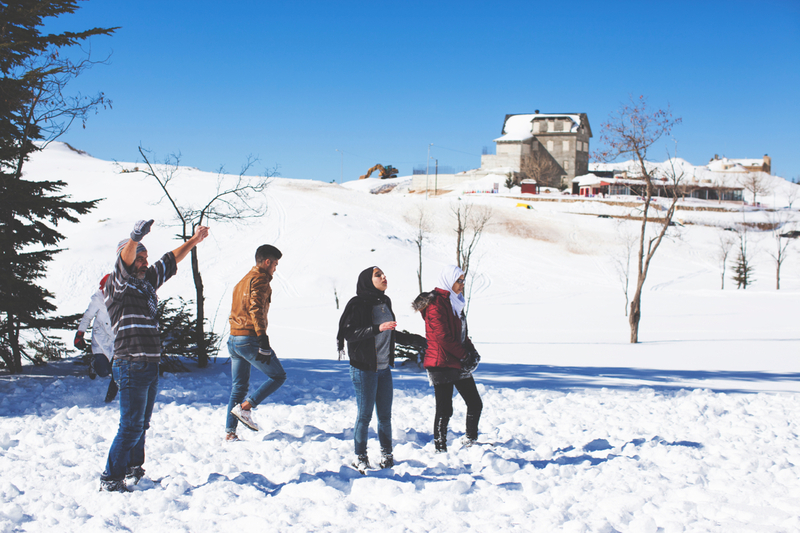 At the beginning of January, as part of their graduation from the Forgiveness Journey, we decided to take our Shatila group on a social outing to Bcharre. The day was full of fun, some had never even been this far up in to the mountains before. We had endless snowball fights, a unique game of in the snow handball (which proved very tiring indeed!) and a delicious lunch in a restaurant overlooking the valley. This group is made up of mostly Palestinians, with a couple of Lebanese, so it was great that by visiting this particular Lebanese Christian area in the mountains we were actually overcoming geographical boundaries by doing so, this isn’t an area Palestinians would ever normally visit. It is our hope that as participants reflect upon themselves through the Forgiveness Journey, that in time this would begin to work outwards and affect the physical divides between communities, breaking down psychological and physical barriers of hostility. After lunch we held a mini graduation ceremony, giving out certificates and taking photos before heading back to Beirut. We look forward to continuing monthly gatherings with all of our groups once the curriculum part of the journey has finished. This ensures we maintain relationships, continue to mentor individuals and create opportunities for intergroup engagement, thus putting to work the principles of reconciliation they have learnt about in a real world situation. We’re looking forward to many more graduation events in the future!